A couple of posts ago I briefly mentioned the curse word ‘buttonholes’ and alluded to a future blog post. Well here it is….. It is a 1950’s Elna Supermatic that my mother bought before she was married. Don’t you just love the kitchen green colour? It has a knee lever to make it sew, and a lever behind the presser foot to lift the foot, which is all a bit confusing once you have spent years using an industrial machine. 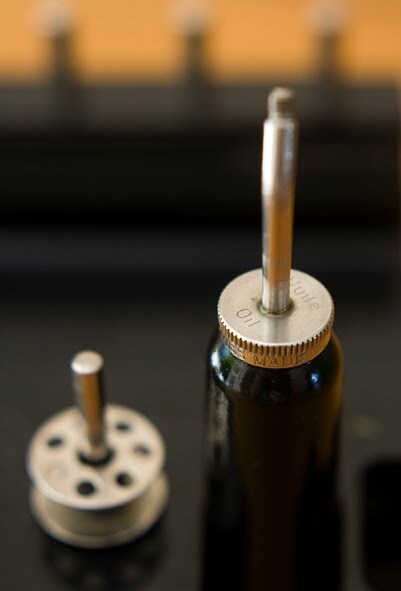 Those of you who use an industrial know that the knee lever lifts the presser foot, and the foot pedal makes it sew – so we are talking different planets here! 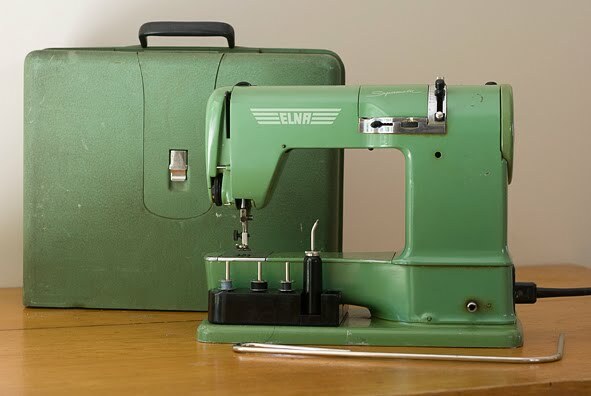 Mum’s Elna comes in a matching green metal carry case, which I have just discovered can conveniently be turned into an extension of the arm for a larger working surface. Mmm – maybe I shouldn’t really store it in the garden shed….. There is a dinky black bakelite tray that stores under the free arm, that contains all the accessories. 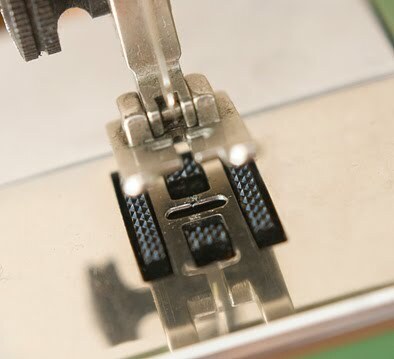 There are several presser feet – a zip foot, reversible zip foot, quilting foot, 4mm roll hem foot, a super narrow foot, an I-don’t-know-what-on-earth-this-is-for foot, and a satin stitch embroidery foot. There are also 5 cams or “Elnadiscs” that go into a revolutionary “Elnagraph Regulating Device” that changes the stitch to either zig-zag, 3 step zig-zag, scallops, wavy line, or feather stitch. And that’s when all these buttons and levers get exciting, because you can alter the stitch length and width to create all sorts of effects. All sorts of effects including buttonholes! Forget one-touch buttonholes because this machine is from another era altogether – the pre-electronic and even pre-myself era to be precise. Buttonholes on this baby are a mere fourteen-touch process, requiring the concentration, skill and patience of a 1950’s housewife. 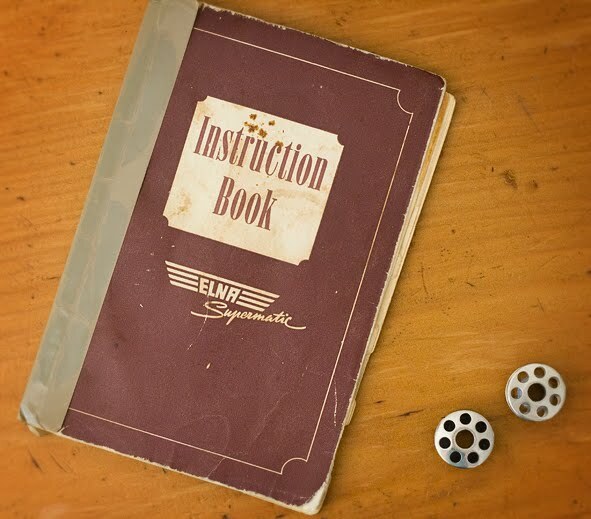 Two whole pages of the instruction book are dedicated to the process of making a buttonhole, increment by increment, by manually varying the stitch length, stitch width and needle positon for each step! And once that has been satisfactorally accomplished you have to cut the buttonhole manually with a quick-unpick. I remember many a garment being ruined at it’s finishing stage by unruly quick-unpicks! Not that I have any! Now you can pick machines up like this for a song – but a basic Swiss made mechanical machine is built to last, and I actually think they are a better bargain than a tinny and cheap modern day electronic machine. Don’t you agree? Do you have any old machines like this that you still love and use? I think I’m going to send Miss Supermatic in for a service and look after her a bit better from now on. Not only is she of sentimental and historical value, she actually is quite handy for the odd buttonhole….. It is so cute. Even if I would not know how to use it, I'd have it displayed somewhere around the house, because it is so fun! I learned on an identical Elna. My 88 year old mother still uses the machine and the stitch formation is as balanced as my Elna 7000. glad to see you post about this machine. I have an identical Elna that I got on ebay for $19.00. The people selling it thought that something was wrong with it and was selling it for parts. They simply had it threaded wrong. I learned to sew on a Singer that was given to my mother by my grandmother when she felt sorry for Mom sewing my clothes by hand. I recently purchased one exactly like it. It is now my favorite! I love vintage sewing machines and just don't understand someone spending thousands on a new high-end sewing machine. As to buttonholes; do you use a vintage buttonholer? They are so easy to use, really just another “foot” that can work on even the new machines. And the buttonholes are so beautiful, much more so that a sewing machine worked buttonhole that says homemade. (IMHO) Although, bound button holes are supreme. I loved your tutorial. 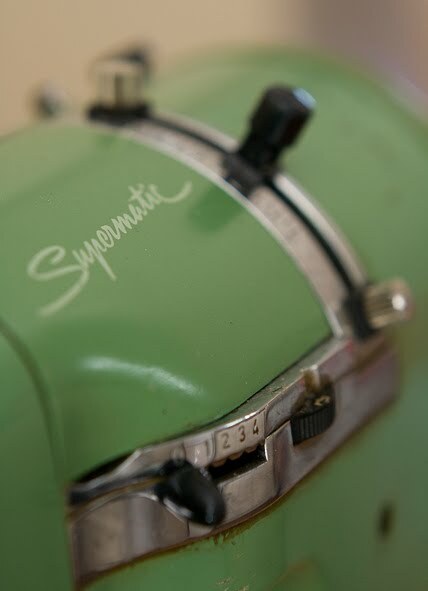 I love this machine (specially the green color and the 14 steps process to do buttonholes ! ).I've just discovered your blog and I like so much your sewing. Everything's so neat. My mom has this machine, too! She got it as a wedding gift 50 years ago. I learned to sew on it and she is still using this as her primary sewing machine. Some things are just built to last! 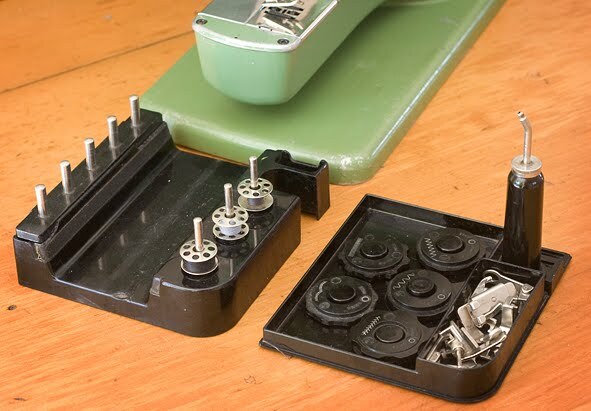 I do have a soft spot for quality Swiss made mechanical sewing machines,although I love my modern electronic wizardry, there is something special about a precision piece of equipment that sews as perfectly today as the day it was manufactured. The fact that many have retro design charm by the tonne is a bonus. Hello! 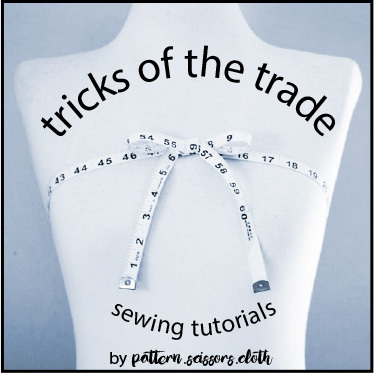 I like your blog a lot, it's great you share professional knowledge with us home sewists, thank you! 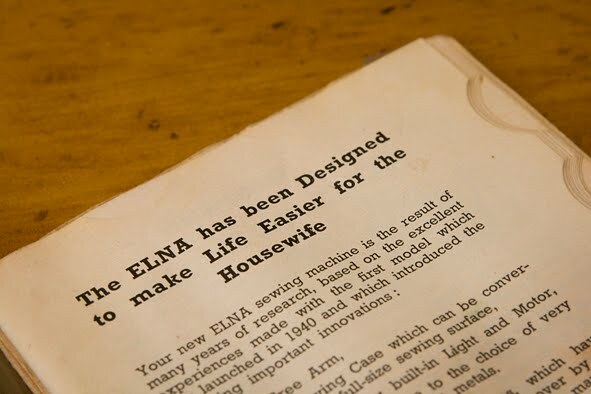 I'm surprised you own an Elna machine, I also have a simple, modern one. 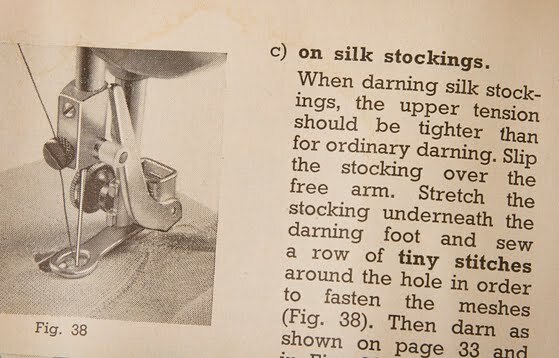 One of the photos in this post amazed me: the darning foot of your machine looks exactly like the foot I bought as a free-quilting foot for my machine! Well sadly I can't figure out how to use it. Tengo una maquina elna que era de mi abuela y hoy, mi hija de 15 años quiere aprender a usarla, el problema es que no tengo el manual de instrucción y no me acuerdo bien como usarla ya que mi abuela me enseño cuando yo tenia la misma edad de mi hija. Les dejo mi correo electrónico por si alguna persona de buena voluntad quisiera scanear el manual y enviármelo. I also have this machine. My father bought it new for my mother due to its superb engineering. I learned to sew on this machine, and when my mother passed away in 2008, I made sure to keep it. It works great, and when I don't feel like using the computer run Bernina, I get out the trusty old Elna. I learned on this one too! My dad bought it for my mom in Hong Kong when he was in the Navy. The last time it needed repair, my repair guy told me he could no longer get the parts. I bought a different Elna model at the second hand store for $2.50 (!) and it has worked for me for two years. I also have a c. 1936 Singer which, while it only sews straight, it will go through anything and the repair shop can still get parts for it. I haven't been able to part with the old green Elna yet though. your guy BS ed you .probably so he can try to sell you a new plastic wonder ! dont throw it out it can be fixed!